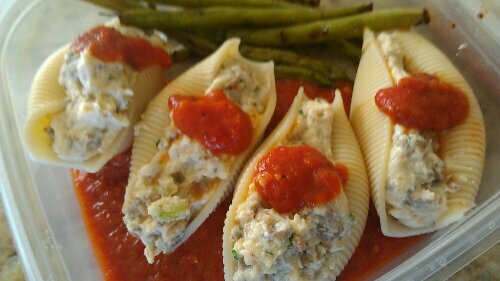 Pasta shells stuffed with Mendolia’s sausage, ricotta cheese, Parmesan cheese, seasoned bread crumbs and fresh basil. It’s served with balsamic glazed green beans and a scratch made fresh Roma tomato sauce. 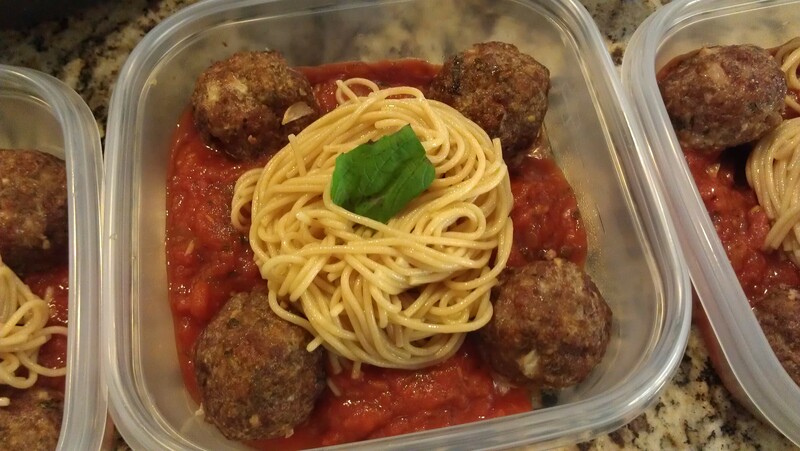 Scratch made cooking from personal chefs at Friend That Cooks in the Kansas City and Wichita metro areas. Fresh breast of chicken stuffed with Kansas City favorite Mendolia’s spicy Italian sausage, rolled in bread crumbs, browned in olive oil and roasted. 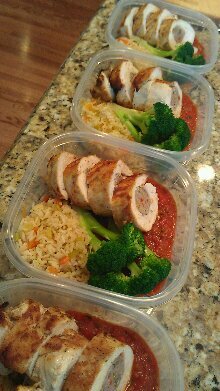 It’s served on scratch made tomato sauce (that’s “scratch made” from raw tomatoes, not a can) with steamed broccoli and rice pilaf. Here’s a pizza made with Kansas City local Mendolia’s Italian sausage and pepperoni with fresh mozzarella, provolone, parmesan and asiago cheeses. Great pizza starts with great pizza dough. A cast iron skillet makes the perfect vessel for a crisp crust pan pizza. Here’s a pepperoni skillet pizza I made. Here are the same pizzas previously shown uncooked, now fully cooked at 425° for 25 minutes. For our weekly meal prep customers, we can make pizza from scratch like these pizzas getting ready to go into the oven. These were topped with homemade sauce, canadian bacon, pepperoni, ripe tomato slices, sweet red onion, kalamata olives, fresh basil and fresh buffalo mozzarella. I baked these pies for 15 minutes to par-bake the crust. The customer finishes the pizza at 350° for 25 minutes. The pizzas can even be frozen.